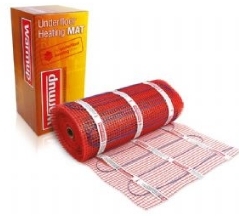 Comfortable under tile heating mats for any rooms. 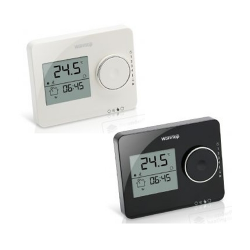 Great for bathroom and shower room floors. 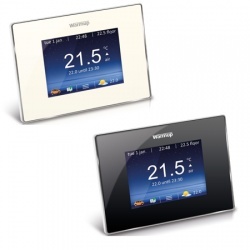 Warmup Matting Underfloor Heating Systems are designed to be tough enough for professional use, yet easy to install for do-it-yourself enthusiasts. The radiant heating cable is attached to a tough fibre glass mesh. 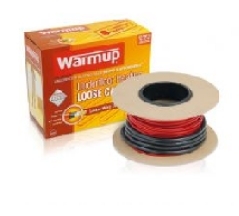 The Warmup Underfloor Heating Mat System utilises our dual core heating element and with only one power lead to wire, it is easy to install in just a matter of hours, without raising floor levels. 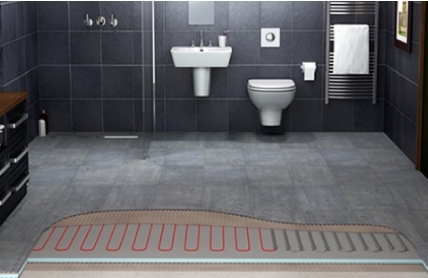 The cable is attached in a series of loops to thin but tough underfloor heating mats, to fit floor areas from as small as 0.5m2 and up.